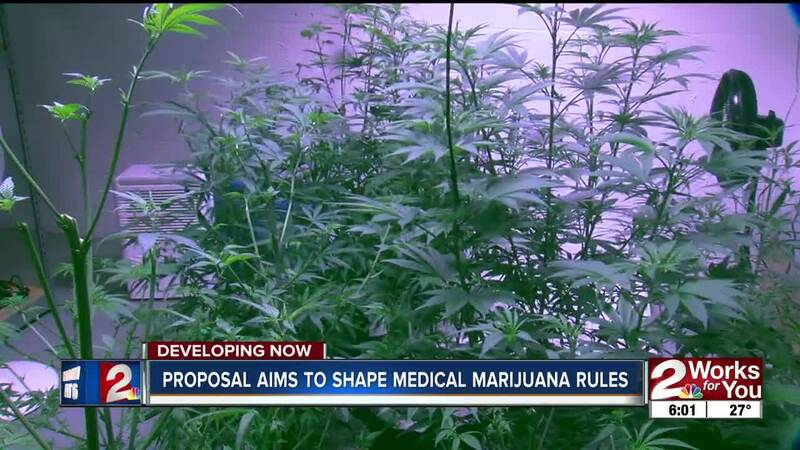 TULSA, OK (KJRH) — Medical marijuana rules are still leaving more questions than answers for both patients and dispensaries. While legislators are getting ready to vote on dozens of potential bills that could determine the rules for the industry, multiple groups are coming together to show them how they would like to see the industry shaped. Since State Question 788 passed, unanswered questions have remained for both patients and dispensaries. Those questions include topics like medical marijuana testing, concealed carry permits while also being a card holder, and patients' risk of losing employment. The Unity Proposal was written by multiple organizations; it is a 150-page outline of what groups like Oklahomans for Health want to see done this session by their lawmakers. Oklahomans for Health Executive Director Shelley Free says the goal is to provide bipartisan solutions to "common sense" issues, and create outlines to answer the burning questions patients and dispensaries still have. "I think it's a pretty fair approach to laying a foundation for addressing these additional things," said Ryan Sheehan, a partner at Whole Leaf dispensary in Tulsa. "I think once they figure out some of these basic ideas, we can go back and start hashing out some of the other things." Shelley Free says there are 58 potential bills concerning medical cannabis in state legislature. The proposal will be brought to state legislators as they get ready to vote on bills, with advocates asking the lawmakers to use it as a guideline to the rules they'd like to see put in place.